Hello! 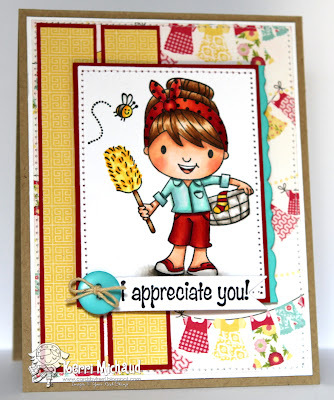 This month's Fun Friday theme at Your Next Stamp is Spring Fling! I decided to pull out this adorable image called Feather Duster Ellie :) Doesn't she look like she's ready for a good spring cleaning? I have to say that moving is a real pain in the you know what, however, it really made us go through EVERYTHING and get rid of so much unneeded stuff! I need to be better about doing that every year instead of every 9 years LOL! Wouldn't this be a great Mother's Day card? I added the sweet sentiment from the Ellie Loves Butterflies set. It's perfect for acknowledging all the hard work that we do at home:) I stamped the sentiment on a banner flag that I cut with one of the YNS Whatnots Seasons Set One Dies. 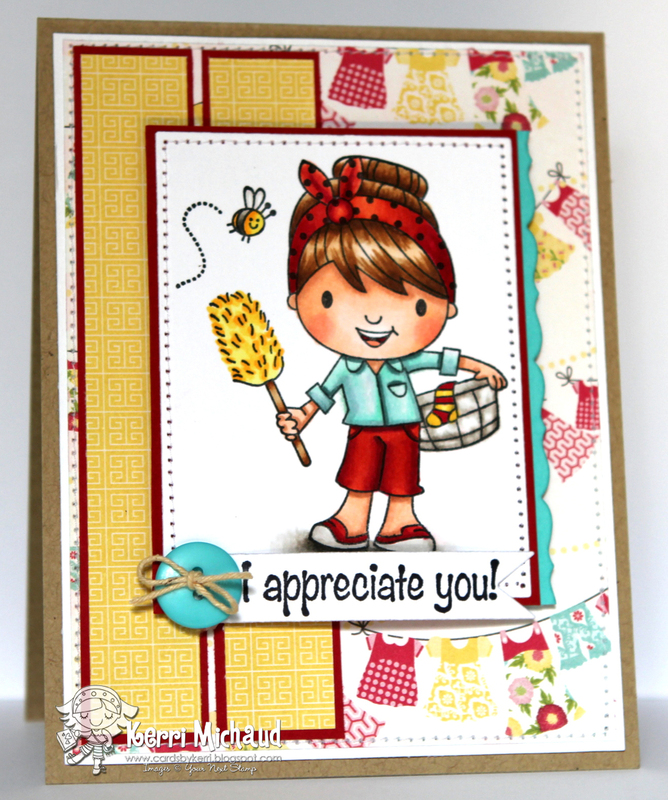 Make sure you check out the Your Next Stamp Blog to see more inspirational spring themed projects from the DT! Thank you so much for stopping by and have a fabulous Friday! What a super adorable card!! I just LOVE her Kerri, great job girl!